Every natural understands the feeling of showing off their hair when it’s moisturized, healthy and everything just goes as planned. It looks extra bomb! The real struggle comes when wintertime rolls around. The cold air is not always kind to your curls so, this is the time to protect the ‘fro by any means necessary. The vitamins, minerals and amino acids in aloe vera plants not only provide moisture to dry hair but it also promotes hair growth. Using all natural aloe vera straight from the plant is HIGHLY recommended. This way, you can be sure there are no outside ingredients interfering with its benefits. Aloe vera is very useful on wash days. Apply it to your scalp and hair after washing, let it sit for 20-30 minutes, then rinse. It cleanses and moisturizes your scalp to promote hair growth, define your curls and leaves your hair with a healthy shine. You can also spray the juice, mixed with water on your hair throughout the week whenever you feel it getting a bit dry. But use it sparingly, aloe vera can be harmful to low porosity hair. It can cause build up and become too heavy on your hair, this build up eventually leads to breakage. These oils are important for natural hair all year ‘round, but they’re especially important during winter. The thickness of Jamaican black castor oil can be used to lock moisture into your hair for a longer period of time. It is also known to promote hair growth and prevent breakage. However, it does have a distinct smell that can be unpleasant. To combat the smell and get more benefits, you can mix it with olive oil. 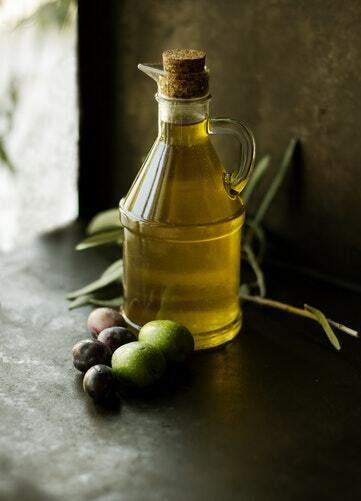 Olive oil has components that prevent dandruff and fights against dry scalps. There are tons of beneficial oils out there to help your natural hair thrive, so don't be afraid to try new things and mix it up. You may already know about the benefits of using shea butter on your skin to combat dryness and scars, but did you know it’s just as beneficial for your hair? African shea butter contains vitamins A and E that are essential to repairing dry and damaged hair. The thickness of shea butter helps protect hair from debris and other things, so its best to apply after you’ve done your regular wash day routine to seal in that moisture. Shea butter can be a bit too heavy for some hair types, so experimenting and mixing other oils with it can loosen the consistency while adding more nutrients to your hair. Just remember, a little goes a long way. Using a deep conditioner after you shampoo your hair can help add extra moisture and strengthen your hair. Protein treatments, on the other hand, should only be done once a month. Although it restores damaged hair, provides strength and elasticity, too much protein can cause breakage. Your hair can become dry, brittle and stiff so, pay attention to the way your hair reacts. When looking for a deep conditioner, pay attention to the ingredients and what it promises to do for the health of your hair. Some of the most beneficial, reputable and black-owned deep conditioners include Shea Moisture's Manuka Honey & Mafura Oil Intensive Hydration Mask and the TGIN Honey Miracle Hair Mask with Honey & Olive Oil. Deep conditioners are usually some of the most expensive products for natural hair, so if you ever feel creative, and want to save money you can create your own deep conditioners. The Creme of Nature Coconut Milk products are thick, creamy, moisturizing, and extremely beneficial for those with type 4 hair. If you want a bomb twist out, this is the product line for you! Thick hair creams help define your curls on a whole new level while keeping your hair moisturized for a long period of time. This is definitely one of the most important products needed when it comes to caring for natural hair. Scarves, bonnets and pillowcases made with silk/satin material help your hair stay moisturized. If you just got a new hairstyle, you want to make sure it stays looking good for as long as possible so silk or satin is the way to go! Cotton scarves strip oils, and every other moisturizing agent from your hair. Cotton causes friction which can snag your hair and cause breakage. For those nights you forget to put your bonnet or scarf on or you’re just too lazy, your silk pillowcase is still there to keep your hair protected. For some, making sure our natural hair is luscious and moisturized in the winter can be difficult to keep up with. Another way to ensure your hair stays healthy throughout these winter months is with protective styles. Twists, box braids, Bantu knots, cornrows, sew-in’s frontals, faux locs, flat twists, are all perfect ways to protect your hair during the winter. You can moisturize your hair underneath with products mentioned above before these styles and leave it protected for about 4 to 6 weeks. When your hair is left alone and protected from the cold air and constant manipulation, it will grow much faster. If you’re someone who likes wearing hats in the winter to protect your head from this cold wind that’s disrespecting you and your hair, it is still possible. Wearing hats in the winter and having natural hair usually isn’t a good mix. Most winter hats are made with cotton which will either ruin your hairstyle because of the friction or stray pieces from your hat can get stuck to your hair. If you’re looking for somewhere to buy a hat that will keep your head warm and your hair looking great, check out Beautifully Warm. It’s a black owned business that makes all kinds of hats lined with satin to help protect your hair. Remember, these products may not be your top choices but they can still be beneficial, it doesn't hurt to try something new. Before you know it, spring will be here and your hair will be extra bomb because you protected it all winter!